Market Demand is the Vital for Blockchain to Move Forward - I am a thinker, strategist, marketer, leader, innovator, visionary, opportunist, networker and the go-person for your business. I am a thinker, strategist, marketer, leader, innovator, visionary, opportunist, networker and the go-person for your business. 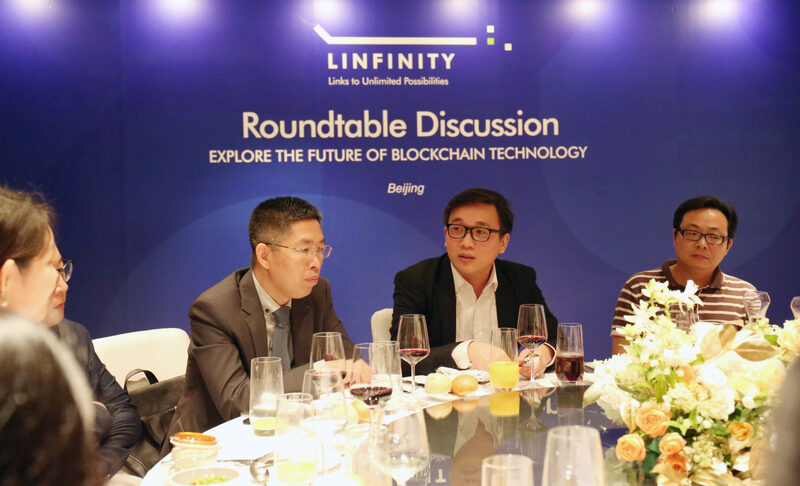 LINFINITY hosted a roundtable discussion on the topic of “The Present and Future Development of Blockchain Technology” at W Hotel, Beijing. Anndy Lian, CEO of LINFINITY, delivered opening remarks and served as moderator for the event. The attendants included many leading private-sector practitioners in the field of blockchain research institution, home appliance vertical media and representatives from manufacturer brands, including Huobi R&D Institute, Chinese Acadamy of Social Science, ea3w.com, Yixi Chinese Rice Wine. Blockchain projects come out every day, as Guo Dazhi from Huobi Research Institute said: “There are many projects, but most of them are very similar, the only thing that differentiate the quality projects from the rest is the actual use cases.” he added: “The project needs to find its own way.” What he says is a common pain point in the blockchain industry. Now blockchain projects are coming out everyday, many of them are in the name of blockchain only to get money. Such phenomenon occurs because the society is lack of understanding of blockchain and the blockchain technology, and most people when they think of blockchain the only thing come to their mind is token speculation. However, those who eventually stand out are projects which are doing the real works and have actual use cases. By finding the real demand of the market and taking such demand as the direction for the project development. Alliance Capital have expressed their views on this issue. He mentioned that most people think winter has come for the finance sector so many think that it is money that holds back the commercialization of the blockchain. This is not true. Blockchain projects should understand their clients’ business logic, advantages and disadvantages, and the market they target at. In fact, what lacks in the capital market is never the capital, but good projects. Capital companies are always open to listen to blockchain projects with a good vision, high commercial value and have sheer determination to drive implementation of use case studies. During the meeting, Anndy Lian introduced the anti-counterfeiting and traceability solutions of LINFINITY in detail to the participants. This topic has gained sparked new conversations among the participants. “Traceability is very important in the home appliances industry. Traditional enterprises should explore how blockchain can be applied to their existing supply chain management systems to further enhance and streamline their processes. ” said Wan Tao, General Manager of ea3w.com. Through the LINFINITY supply chain anti-counterfeiting traceability system, it is easy to check all procedures and item status in supply chain, such as the supply of raw materials, logistics, distribution and so on. In particular, fast consumer goods industry such as wine industry is viewed as a disastrous area with fake and inferior products. © Copyright 2006. Designed by Ancl Group.